Cowichan Valley School Board's nine trustees have been fired by British Columbia's education minister after failing to submit a balanced budget for the upcoming school year. The School Act requires boards to pass balanced budgets, but in May School District 79 approved a budget with a $3.7-million shortfall, saying it had a duty to provide a quality education. 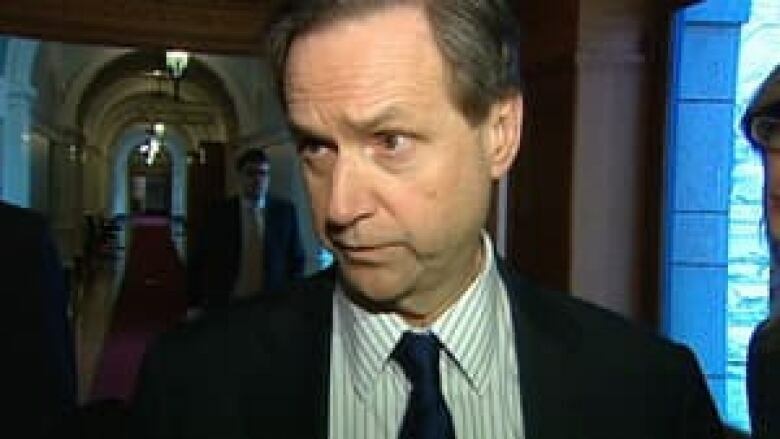 Board members were given until June 30 to comply but last week, they passed a deficit budget in a 4-5 decision and on Sunday, Minister of Education George Abbott followed through on his threat to relieve them of their posts. Former chair Eden Haythornthwaite said they were simply trying to protect students. "Our position was that in the last three years alone, in the last three budgets alone, we've cut almost $11 million from our operating budget and we felt we had ceased to be able to provide equal access to quality learning opportunities for all the children in Cowichan," she said. The education minister has also appointed Surrey School District superintendent Mike McKay as the official trustee for the district. Abbott said it was regrettable the school board had chosen to put political advocacy ahead of their obligation to submit a balanced budget. "I respect that often school districts have difficult choices to make. There's always things people would like to do, there's always special challenges that exist in each of the 60 school districts. But 59 have taken the time, the effort, the energy to ensure they balance off," he said. Abbott said this was only the fourth time a B.C. school board has been dismissed for failing to balance its budget in the past 40 years, but it did mark the second time a Cowichan school board has been fired in these circumstances. "It is not a pleasant thing to do, but it's something that governments must do if we are to ensure that school districts fulfill their responsibilities to their constituents and to the taxpayers of British Columbia," he said. However, Haythornthwaite said a legal opinion they have received shows they have grounds to challenge the dismissal and they will be moving ahead with that challenge in the coming days.